Is Beauty School Right For You? Find Out! This program combines old world tradition with new school techniques. Strike a balance between contemporary trends and classic practices and get the skills to become a successful Barber. We believe that hair design is an art. 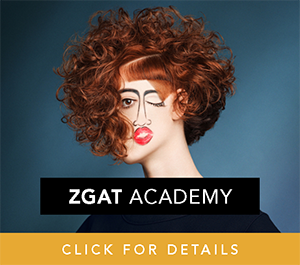 This creative approach guides students through in-depth elements of hair design and styling. Get prepared to pursue a successful career as a Cosmetologist. This is a dynamic skin education! Esthetics students learn to perform a wide range of spa and skincare treatments and get the skills it takes to pursue a rewarding Esthetics career. Are you a stylish, outgoing individual interested in a rewarding beauty or barber career? Do you love helping others to look and feel their best? High School Diploma/GED? - Select - Yes No Do you have a High School Diploma or GED? Preferred Method of Contact - Select - Phone Call Text Message What is your preferred method of contact? By submitting this form, you are giving your express written consent for Federico Beauty Institute to contact you regarding our programs and services using email, telephone or text - including our use of automated technology for calls and periodic texts to any wireless number you provide. Message and data rates may apply. This consent is not required to purchase goods/services and you may always call us directly at 916-418-7223. Teachers are fun and have lots of stories to share. Federico Takes 2nd Place at Hair Wars! © 2019 Federico Beauty Institute. All Rights Reserved. Website by Enrollment Resources.